I recently came across a post online where a farmer posted results of a test on his farm. Given the plethory of yield results (and yield ehancement claims) that are thrown at farmers, I wanted to comment on this test and on-farm experimentation in general. This particular farmer tested an in-season application of 30 units of N applied via a y-drop system. Given that the cost of this application (product only) was likely $10-12, this was not an ROI-positive test. I spoke with another producer yesterday who had similar results. This producer followed up his results with something along the lines of, “won’t be doing that anymore!”. 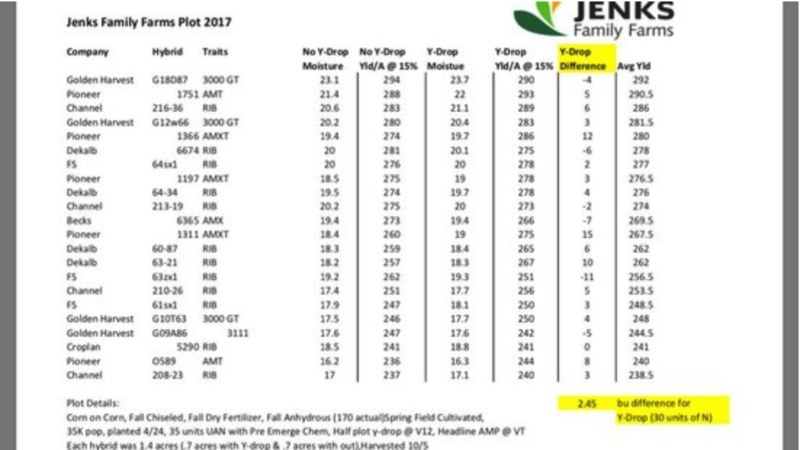 Andy Jenks, the producer who posted the results shown above (who also has no relationship with Harvest Profit), had a much different comment on his go-forward plans regarding in-season N and the y-drop application. That is the correct mindset to have in my opinion. Farming suffers from what I call…..the curse of a small sample size. It’s hard to conduct statistically-valid tests in farming because everyone has different variables (seed bed conditions, soil types, GDD, drainage, and on-and-on). The same can be applied to other farm business decisions you make: grain marketing, crop insurance, government program selection. Every year is different. Your job is to put the odds in your favor. There is rarely a “sure thing”. The key is to analyze your past decisions with the understanding that hindsight is 20/20. In my business, I’m always trying new things. I recently tried some advertising that failed miserably. Will I do it again? No, but not because it doesn’t work. Because I don’t have the budget to do it effectively. “Always be testing” is a philosophy that all businesses should employ and farming is no different. If you track the variables that impact a test (vs. simply tracking the results), you greatly increase your likelihood of accurately evaluating the test. Remember that as you evaluate your decisions over the last year. In today’s farm economy, there is a lot of pressure to cut as many expenses as possible. The key is to cut out “the fat but not the muscle”. The only way to know what’s fat vs. muscle on your farm is to test it. 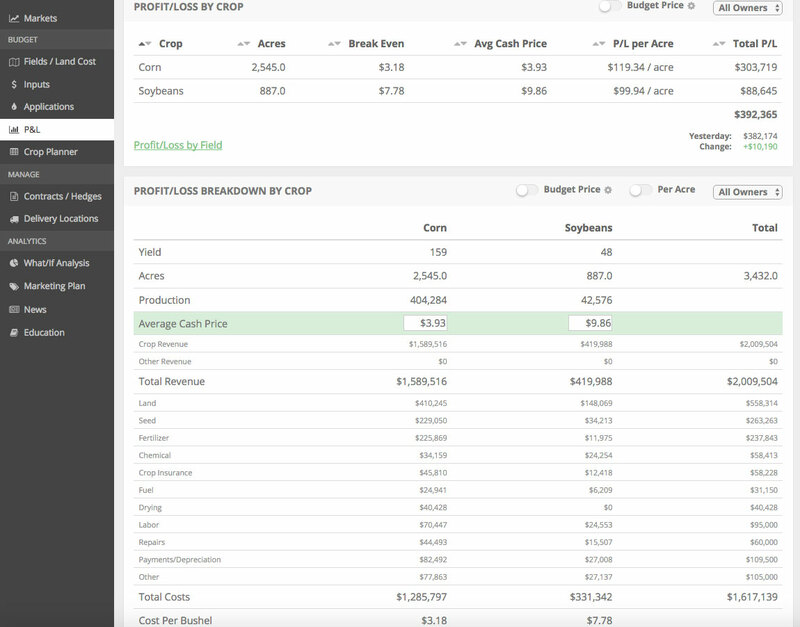 If you value this numbers-based approach to farm mangement, you should try our software by clicking the button below. We currently work with 170+ business-minded farms from 29 states and provinces. While we aren’t the right fit for everyone, we intimately understand the challenges faced by farmers and are laser-focused on helping our customers survive and thrive in today’s volatile farm economy.